Giving Birth To My Parents | Their the glory of…that's the story of…..
With Ruby’s help, my new assistant, we are gonna kick this site out of the park. Elderly and Aging Blogs….hopefully, my blog will answer alot of questions, assist many that never received the handbook on aging..and read the blog for pieces of joy and sadness that occurs with living. Championing for parents, aging, saging and anything that has to do with the elderly…Make me your point person…. Ask me about seniors, aging, parents, etc…. I love the topic…I loved writing the book…. Huffington Posted this article….In honor of all Mothers. Happy Mother’s Day, Blanche!!! Fly Blanche Fly……. It came like a thief — 10 months almost exactly from the day she was diagnosed until the day she left us. Cancer has a way of doing that, robbing its victims and their families of health and freedom. One day we’re doing life together, making plans for the future — and the next we’re fighting this battle and eventually saying goodbye. I never imagined I’d lose my mom this way or so soon. I couldn’t have planned or prepared for it. Her fate swooped in like a thief and took her away before I ever had the chance to fully realize what was happening. This Mother’s Day, I am — for the first time — a mom without a mother. I will receive cards and gifts and lots of love, but I cannot give them. I cannot express my gratitude, despite her imperfections, with lavish love. I cannot thank her for all she taught me about being a mom, both good and bad. I cannot share how much she’s impacted my life, as a mom and a wife and a woman. Whether she’s been your role model or she’s shown you what not to do, tell her how much you’ve learned from her. 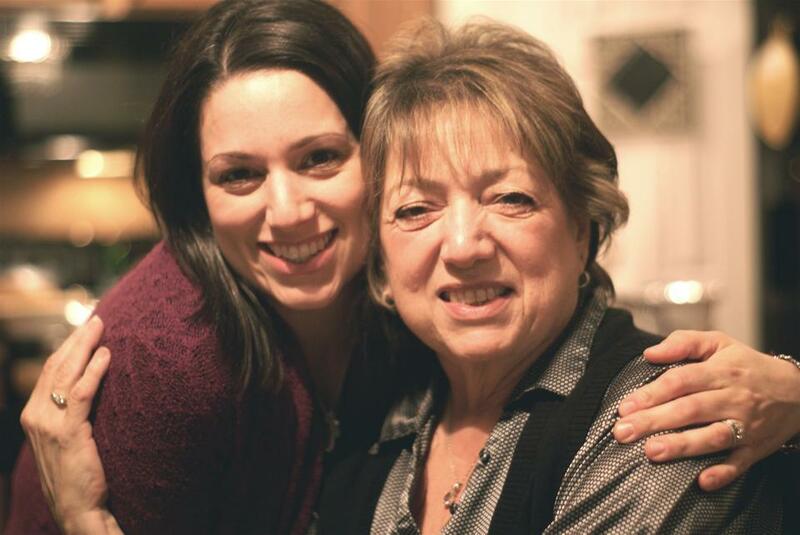 This time last year, I never dreamed I’d spend Mother’s Day without my mom. Please, don’t let another day slip by without connecting with yours. Happy Mother’s Day, friends. May you find grace to give and receive so much love. This post originally appeared at Grace for Moms. In 2010, when Blanche Caplan was 85, she flew to Colorado to visit her daughter and son, Lorrie and Wayne Caplan. Blanche never made the return trip home to Philadelphia; she suffered a few strokes during her visit that rendered her incapable of caring for herself. Overnight, Lorrie found herself as her mother’s caregiver. As Blanche recovered, she moved into The Carillon, a retirement community, and started a new life in Boulder. Before the stroke, Blanche lived independently and took regular trips to Atlantic City, NJ where she loved to gamble. Lorrie had a full life, too. An intuitive life coach, abstract watercolor painter, published author, and a pop song writer, Lorrie’s life was focused on helping her clients and pursuing her artistic endeavors. Fortunately, Lorrie had the insight many years earlier to devote herself to forming a healthy and happy relationship with her parents while her father was still alive. She wrote a book about her experience, titled “Giving Birth to My Parents.” That groundwork made all the difference in both Blanche and Lorrie’s present situation. Caring for Blanche and attending to her needs has become Lorrie’s primary concern. 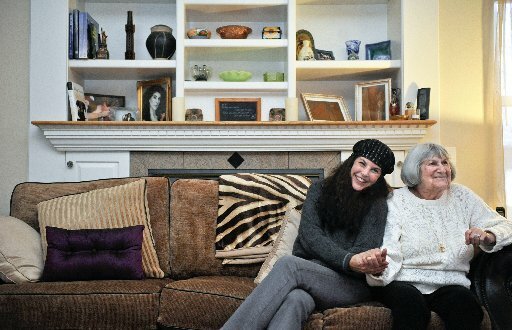 At times, her role of caregiver can be overwhelming, but Boulder JFS has been able to step in with support. Blanche attends JFS holiday services and celebrations at The Carillon and has also been matched with Friendly Visitor, Lisa Shanken. Additionally, with encouragement from JFS care manager Jodi Ansell, Lorrie joined JFS’s monthly adult caregiver support group. GIVING BIRTH TO MY PARENTS As of last week. Thanks for sharing sweetie, so nice to read that your mom is doing well, enjoying her life in her new surroundings and making new friends that love her so much ! You are a gift Lorrie and your mom is blessed with so much love surrounding her and it’s obvious you get your joy for life from her energy and passion ! Please purchase it as a gift for someone you love. A percentage of all sales goes to Jewish Family services of colorado. MOM going to be 90…. Its hard to believe. ..watching mom age…I see it as a future screen for me…just knowing and gathering all types of information…storing it in the back of my mind. Momma continues to be a delight still focusing on speaking like a mother with words of wisdom salted by the spark in her eye. I watch her daily as she hungers to stay connected to her friends, the residents, the staff at The Carillon. She oozes love and compassion, laughter and aliveness on her good days. I hold her close and tell her that she’s my sweetheart. There’s a new willingness that lives her that wasn’t there before. “You are my idol, my daughter.” She reminds me everyday. The questions, comments and feedback are so worth the gold that her life is. I am so very blessed by Blanche in every way good. Lorrie Caplan, Author of Giving Birth To My Parents book will be for sale at The Caregivers Symposium in Longmont on May 12th 9:30 – 5pm….Please come –it’s free admission….Come find my booth….And know that I look forward to meeting and seeing you there…. Taking a Break: Resources and Tips for Making Respite Happen! To help family caregivers attend, we offer free on-site elder care by reservation. Call 303-441-1543 to learn more or to reserve care. *Directions: The Best Western Plaza Hotel is at 1900 Ken Pratt Blvd./Hwy 119, between Hover Road and Sunset Street in south Longmont. The Convention Center sits behind (north of) the hotel, at 1850 Industrial Circle. From Ken Pratt Blvd./Hwy 119, turn onto Industrial Circle east of the hotel (at Old Chicago restaurant) or west of the hotel (at the BBQ restaurant); either way circles around to the Convention Center (low, long, dark building). Park in the Convention Center’s east or north lots and enter the main east doors. They’ll be marked by balloons. The 2015 Caregiving Symposium is co-sponsored by Aging Services Foundation, Meals on Wheels Boulder, Always Best Care, Boulder County CareConnect, 50 Plus Marketplace News, Prudential Financial, Shield HealthCare, Synergy HomeCare, Accent Care, Hallmark Homecare, HomeCare of the Rockies, Homewatch CareGivers of Boulder County, HomeWell Senior Care, Longmont Senior Services, Vincent, Romeo & Rodriguez, LLC, and Visiting Angels of Boulder County.